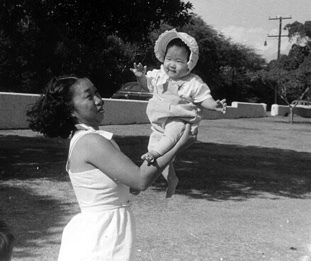 Share a long-ago photo you found hidden in a drawer or behind a wall. It might be special - or maybe not, but it's fun to look at. At Jan and Dwayne Nasu's town house back in the early '70s. 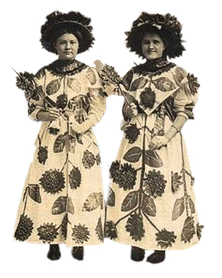 They often gathered there to be in a "safe space" as they lived out their somewhat wild days. 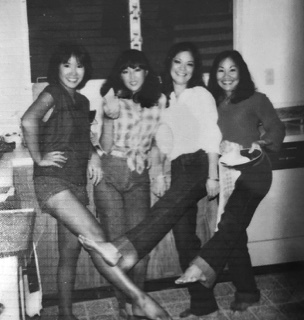 Left to right: Sandy Nishimoto, Veda Shimizu (McKinley'69), Charlene Higa (Lelehua'69), Wendy Yim. 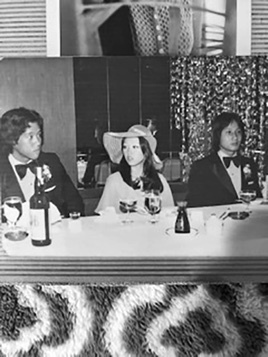 Dwayne and Jan Nasu's wedding. 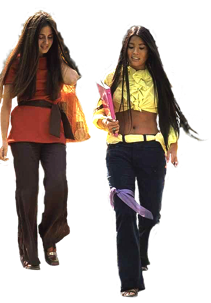 1970's. 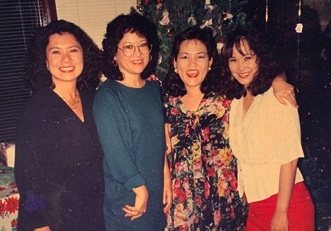 Left to right: Sandy Kersten, Jane Ohta, Doreen Matsumoto, Lani Harrington. 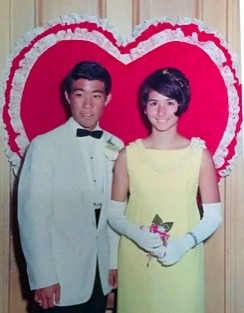 Harold Fujii and Debbie (Martin) Christensen at the Junior-Senior prom 1968. 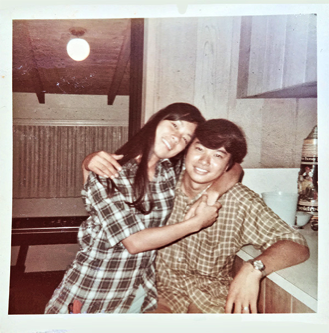 Sandy (Nakai) Kertsen and Wes Mukawa. We have no idea what, where or when...yet. Lani (Kuwawa) Harrington when she was just a little thing. 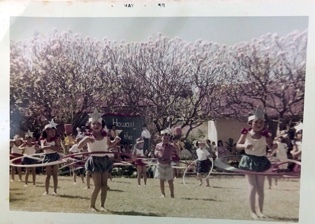 Donna (Wong) Miller at May Day, Pauoa Elementary in 1958. 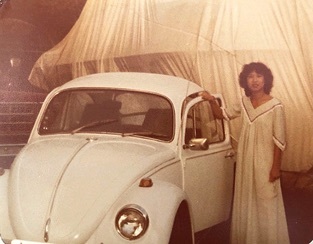 Donna (Wong) Miller - 1983 - the car was a gift. Repainted by her brother and friends. We have no idea what it looked like before. But it's wheels!